The event: NOTHING. The venue: Kemistry in Malate. 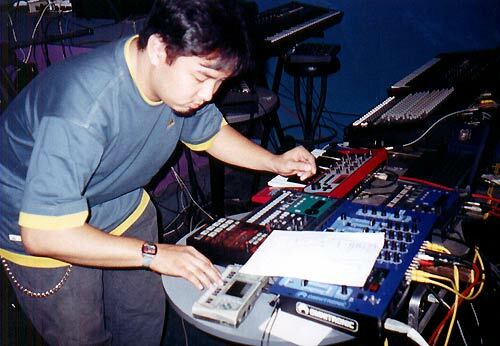 Six people performed solo electronic works. Karlo Samson performed a piece entitled "Rocket Summer". That's him tweaking the knobs on the SP202. Rockin' the tiny Yamaha QY70!